Amazon Echo, Echo Plus or Echo Spot: Which Alexa smart speaker is right for you? The answer was easy when there were just two models. Now Alexa is all over the place. So you’ve decided to bring Alexa into your life. Good idea. Now comes the hard part: Which Amazon Echo is right for you? We’ll go over all the models, including the brand-new second-generation Echo, Echo Plus, and Echo Spot that Amazon just announced. Amazon pioneered the concept of a smart speaker, an audio device with a voice-activated digital assistant that can do everything from play music (from Amazon Music or Spotify, Pandora, and certain other services if you’re a subscriber), to recite the day’s news, deliver weather and traffic updates, and—perhaps most importantly—control virtually every element of your smart home. More recently, Amazon made it possible to make outgoing calls from an Echo to any phone number in the U.S., Canada, and Mexico. All you need to do is ask Alexa to call the name of your contact. 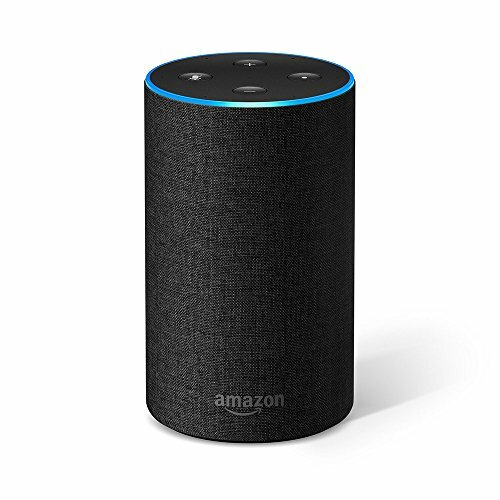 You can also use Echos as an in-home intercom and make video calls (provided the person on the other end of the line has the Alexa app on their phone or a video-enabled Echo in their house). Google Home might be slightly more sophisticated in terms of the commands it can respond to, and Apple’s HomePod might be the one to beat it terms of audio quality (we’ll see—Apple has delayed that product’s launch until early 2018). But the Echo series has far more skills and third-party integrations than either of those competitors. 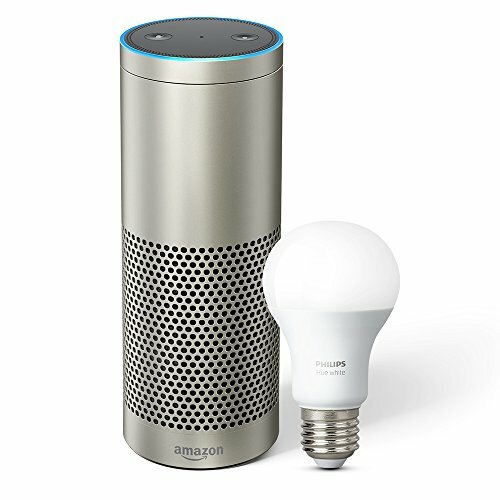 What’s more, Amazon has been busily signing up third-party manufacturers to integrate Alexa into their own products, with the C by GE Sol smart lamp being the most recent example. Let’s start with the newest models, although our opinions on that score are based almost entirely on the information Amazon has provided. We won’t have an opportunity to review Amazon’s new products until they ship (some at the end of the month, others in December). This 2nd-generation Echo isn’t a bad product, it’s just not the best Alexa-powered speaker you can buy for the money. Who’s it for? Anyone who wants a smart speaker that can tie into most any smart home system. What sets it apart? The new design is shorter, so it should be more stable on a table top. Amazon also says audio quality is better relative to the first-generation Echo. It’s available in a variety of finishes, and it’s $60 to $80 cheaper than the original. Buy a three-pack and you’ll save $50. Does it have a display? No, it depends on the Alexa app on your smartphone or tablet. What finishes does it come in? Your choice of three cloth covers, two wood finishes, or a silver finish. What drawbacks does it have? We haven’t reviewed one yet, but we haven’t been impressed with the speakers in any of the Echos to date. How much does it cost? The cloth-covered models cost $99.99 each. The wood and silver finishes are priced at $119.95 each. When will it be available? You can preorder now, with shipping promised by October 31. The thing about the Echo is, once you have one in your home, you’ll want them all over your home, especially if you link Alexa to your smart home system as I’ve done. I predicted that would be the case with the very first Echo, but unfortunately, that device was too expensive for lots of people to buy in multiples. That should be less of an issue with the newly announced second-generation Echo, which Amazon is pricing at $99.99 or $119.99, depending on the finish you choose, with a $50 discount if you buy three at once. The new Echo is much shorter than the original (the older model fostered a cottage industry of accessories to prevent it from tipping over—or to protect it from an impact if it did). The second-generation model arguably is more attractive, wrapped in your choice of three tweed-like fabrics (the $100 models) or three smooth finishes (the $120 models). Amazon says the new Echo is outfitted with better speakers plus Dolby processing. The second-generation Echo will ship on October 31. The presence of a ZigBee radio isn’t enough for us to recommend the Echo Plus over any of Amazon's other Echo smart speakers, regardless of price. Who’s it for? People who want a smart speaker with a built-in smart home hub. This is the only one so far. What sets it apart? An integrated ZigBee radio for controlling smart home devices, including Philips Hue smart bulbs (one of which is included in some SKUs). Does it have a display? No, it depends on the Alexa app running on your smartphone or tablet. What finishes does it come in? Black, silver, or white. What drawbacks does it have? We haven’t reviewed one yet, but we haven’t been impressed with the speakers in any of the Echos to date. It also lacks support for the other highly popular smart home protocol, Z-Wave. If you’ve been craving a smart home hub that supports voice commands right out of the box, you’ll want to take a look at the new Echo Plus ($149.99). It has a built-in ZigBee-based smart home hub and will compete with hubs from Samsung’s SmartThings, Samsung’s Connect Home, Wink, Securifi, and others. Amazon will include a Philips Hue smart bulb with your purchase for a limited time. Amazon says the Echo Plus will also come with higher-performance speakers with Dolby processing, and it will be available in three smooth finishes—black, silver, and white—when it ships on October 31. The Echo Spot just might be the perfect smart speaker, with a versatility and fashion-sense that give it a sense of purpose and style. Who’s it for? Anyone looking for a smart speaker with a display that can tie into a smart home system—and that costs less than the Echo Show. What sets it apart? A 2.5-inch color display. Does it have a display? Yes, a small one! What finishes does it come in? Black or white. What drawbacks does it have? We haven’t reviewed one yet, but we suspect its audio performance will be weak. This is mitigated by Bluetooth and an analog audio output, but adding outboard speakers will take up additional space. When will it be available? You can preorder one now, with shipping promised on December 19. The third new Echo in Amazon’s lineup is only the second Echo to feature a built-in display. Available for preorder now, it will ship sometime in December. 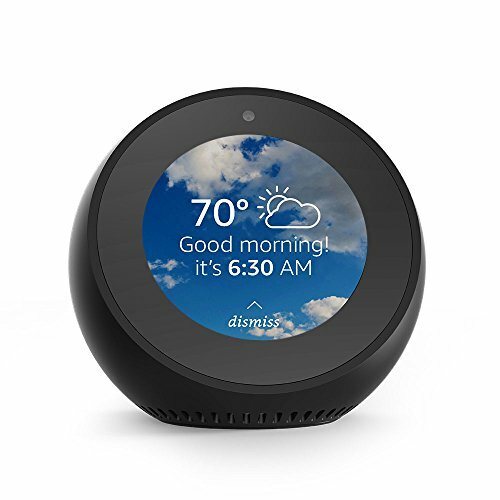 Similar in size to the Echo Dot, the Echo Spot looks something like a Magic 8-Ball (Mattel’s Retro Edition is on Amazon), with a circular LCD that can show you the time, the weather, your calendar, and other information. A front-facing camera makes it easy to place video calls to the people on your contact list. It seems the Spot’s built-in speaker will be as weak as the Dot’s, but you can pair either device with Bluetooth speakers if you want higher-quality sound. Alternatively, you can plug a cable into either Echo’s 3.5mm analog audio output. If you like the idea of having an Echo with a display, the Echo Spot is a much less expensive alternative to the Echo Show, which has a larger screen. It's a win-win: The least-expensive digital voice assistant you can put in your smart home is also one of the best. But add a speaker if you want it to play music. Who’s it for? 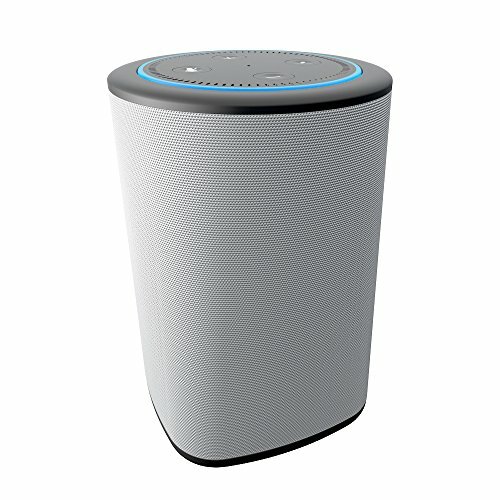 Anyone who wants a smart speaker primarily for controlling their smart home. What sets it apart? It’s the smallest and least-expensive Echo, which makes it easy to put one in multiple rooms in your home. If you already have a better multi-room audio system (e.g., Sonos), Amazon isn’t making you pay for a feature you’re unlikely to use. What drawbacks does it have? The Dot is the weakest Echo in terms of audio performance, although this is mitigated by the presence of Bluetooth and an analog audio output. Adding outboard speakers, however, will take up additional space. When will it be available? It’s available now. Amazon essentially sliced the top of the first-generation Echo to build the Echo Dot. The first-generation Dot saw very limited distribution, but the second-generation model we reviewed was a massive hit. It remains the least-expensive Echo and is the still the model most people should buy—if your primary interest is using voice commands to control your smart home. The Dot doesn’t have the highest-quality speaker, but you can pair it to any Bluetooth speaker, hardwire self-powered speakers to it using its 3.5mm analog audio output, or mate it with a speaker dock, such as the Vaux (which also features a battery to make the Dot portable). You’ll find a whole lot of third-party accessories that make the Dot sound better, look more attractive, and take up less room, too. Mount Genie’s ingenious Flush Mount, for example, will let you install Dots in your walls or ceilings ($19.99 at Amazon). Who’s it for? Anyone who wants a smart speaker with a large display for video calls and movie streaming, and that can tie into a smart home system. What sets it apart? A 7-inch touchscreen you can use for video calls, movie streaming, displaying music lyrics, and lots of other applications. Does it have a display? Yes, mid-sized one. What drawbacks does it have? As with its siblings, the Echo Show is not a stellar performer in terms of audio. Also, Amazon and Google are in a dispute, with the result being that you can’t stream YouTube videos to the Echo Show. It’s also the most expensive Echo. This is the first Echo to feature a display. It’s an awesome smart home assistant (you can read our review here), but the Echo Show is also the most expensive Echo, with an MSRP of $229.99. 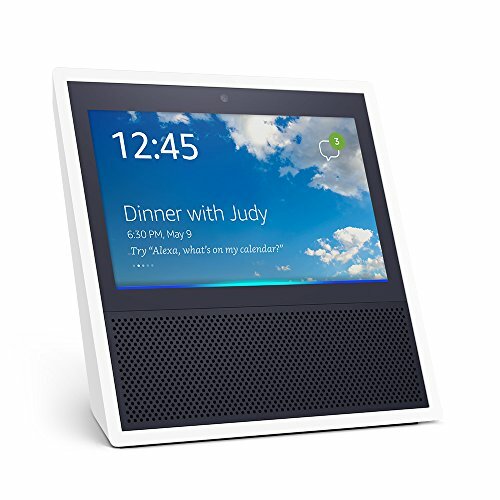 Outfitted with a 7-inch color touchscreen and a 5MP digital camera, the Echo Show can be used for video calls in addition to playing videos on Amazon Prime (Google recently pulled YouTube off the Echo Show, claiming Amazon’s implementation violates YouTube’s terms of service. Here’s hoping the two companies can work something out on that front, because I imagine a lot of Echo Show users use it to watch YouTube.) Play music on the Echo Show, and it will display relevant album art. When it’s not doing anything else, the Echo Show displays the current time and temperature on its home screen, and alternates between suggesting things you can do with it (“Try asking Alexa where the nearest ATMs are”) and displaying news headlines it thinks you might be interested in reading or having read to you (“Suspected cancer turns out to be a swallowed toy.” Gotta read that! Not.) The Echo Show’s stereo speakers are marginally better than those in the first-generation Echo, but I haven’t been impressed with the audio performance of any of the Echos to date. I am looking forward to checking out the new models, though. Who’s it for? Anyone who cares a great deal about their appearance. What sets it apart? A voice-activated camera that can capture full-length selfies and short 360-degree videos, so that you can see yourself from every angle. Amazon’s Style Check service uses machine learning algorithms and guidance from fashion specialists to advise you on your look. What drawbacks does it have? There are privacy concerns with every smart speaker, because they’re always listening for their magic wake word (and there are times when it will mishear you and upload your speech to the cloud before you’re aware that it’s happening). Adding a camera to the mix—one intended to be in your bedroom, no less—ups the ante considerably. But no matter how badly you want an Echo Look, you’ll have to wait for an invitation from Amazon to buy one. When will it be available? It’s currently available only by invitation. Announced last April, the Echo Look remains elusive. You can buy one only if Amazon decides you’re worthy of an invitation. Equipped with a voice-activated, depth-sensing camera, the Echo Look ($199.99) snaps a full-length photo of you—or even a 360-degree video—on command, so that you can see how you look before you step out of the house. Optionally, you can tap the Echo Look’s Style Check feature to use “advanced machine-learning algorithms and advice from fashion specialists” to help you decide which outfit to wear. With Amazon’s focus on selling you things, it should come as no surprise that the device will also offer recommendations on other articles of clothing that you might like to buy. Fashionistas we’re not, but the Echo Look is the least compelling Echo of them all in our book. Skip the Tap. Spend the extra money and buy the Echo, instead. Who’s it for? The person who wants to take Alexa places where there’s no available AC outlet. What sets it apart? It’s Amazon’s only battery-powered Alexa device. What drawbacks does it have? In order to conserve battery power, the Tap defaults to a mode that requires you to tap the speaker before you utter the Alexa keyword. None of the Echos are great Bluetooth speakers, but the Tap is worse. When is an Echo not an Echo? When it’s the Amazon Tap. 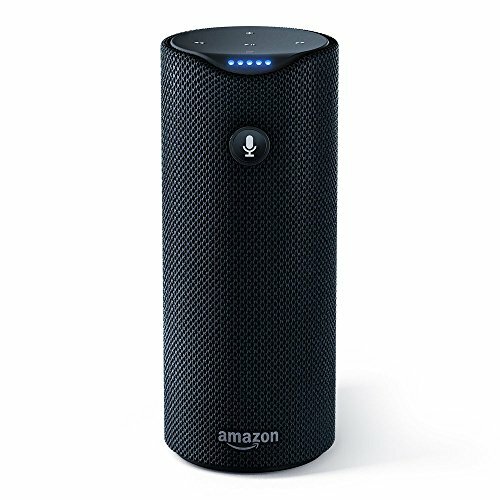 Adding battery power is a great idea, but taking away the ability to summon Alexa by simply speaking her name was a tragic mistake. Long after our review, Amazon added a hands-free option that you can toggle on and off. That was a smart move, but it doesn’t make the Tap sound any better. We’ve established our relative disdain for the audio quality of Amazon’s smart speakers, but the Tap is particularly bad. Music just sounds lifeless on this speaker, with reedy highs, a muddy midrange, and flabby bass response. Not recommended. If you want a battery-powered Echo, look to a third-party solution like the Vaux. Who’s it for? 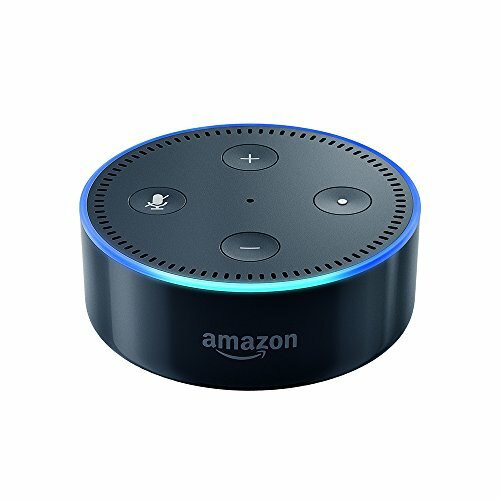 Anyone who wants a smart speaker for music and to control their smart home. What sets it apart? Until now, it was the best audio performer in the Echo lineup. What drawbacks does it have? Regardless of what I said above, the first-generation Echo was not a great audio performer. Its tall, columnar form factor left it vulnerable to being knocked over. How much does it cost? The first-generation Echo cost $179.99 when it was available. When will it be available? It’s been discontinued, so you’ll need to buy a used one if you really want one. Recently discontinued, the first-gen Echo was the first smart speaker. We’d seen other voice-controlled computers before—anyone remember the Ubi?—but Amazon’s was the first that was actually good for something (even if we dinged its acoustic performance in our review). The Echo paved the way for the Google Home, Apple HomePod, and all the Echo devices that came after it. But it was expensive for what it delivered.